Clyde Wraps (Vehicle Graphics) is a leading provider of digital vehicle graphics. Combining high resolution digital printing, experienced professional graphic designers and meticulous installation crews. Clyde Wraps generate products that are unparalleled to those of our competitors. 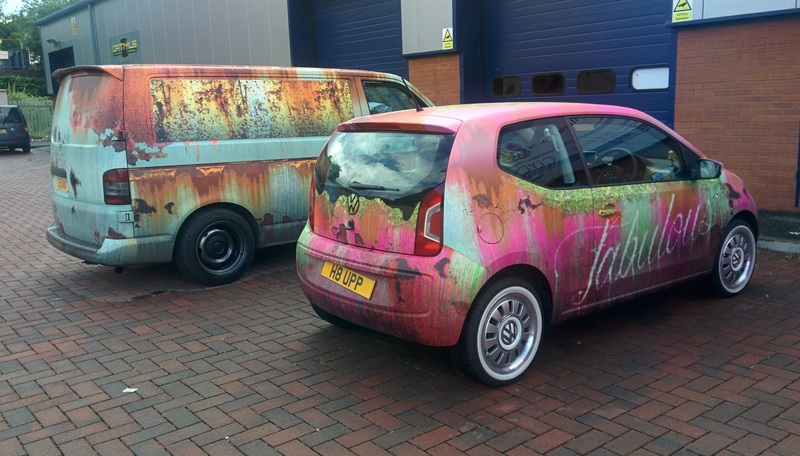 We can take your vehicle or fleet and transform it into a masterpiece that is guaranteed to give your company lasting brand recognition. Clyde Wraps offer numerous vehicle graphic formats: Van Wraps, Car Wraps, Truck Wraps, Vehicle Fleet Branding, Overlay Digital Decals, Vinyl Decals, Vinyl lettering, one way vision window graphics and more. Clyde Wraps is a division of Clyde Taxi Advertising who supply advertising for London-style taxis not only in Scotland but, throughout the UK.